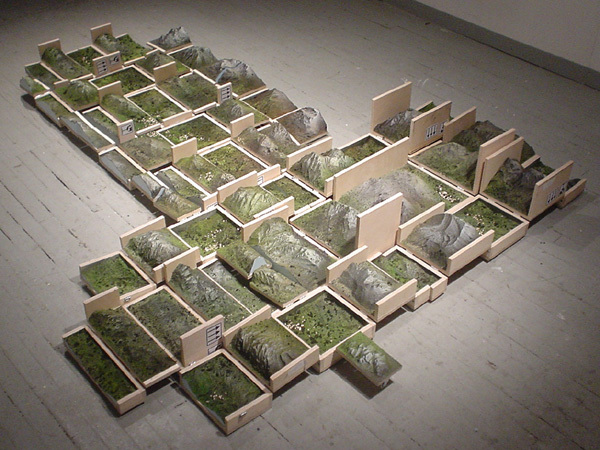 »Haul« (2005) by Katrin Sigurdardottir is made up of 11 small transport crates, that when installed together, display a continuous imaginary landscape. They are individual pieces as well as parts of a larger sculpture. As they find homes in dispersed locations, their exteriors document their travel with transit labels and other imprints.